Welcome to Pain Relief Massage & Wellness. Chronic low back troubles? Neck & shoulder pain? Sciatica pain? You came to the right place. My focus is to provide massage for pain management in Rochester NY. Call or schedule online today, and start your path towards healing. 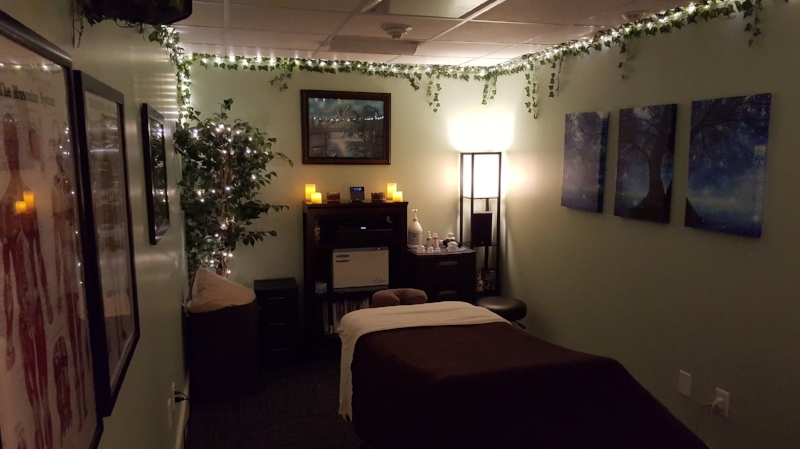 Pain Relief Massage & Wellness is located within Pace Family Chiropractic at Linden Oaks drive in Rochester, NY. Check out services here, as well as my pricing for single massage sessions & discounted packages. Need to make a gift certificate purchase? You can do that here. We understand that unanticipated events happen occasionally in everyone’s life. In our desire to be effective and fair to all clients, the following policies are in place. Please give at least 24 hours notice if you need to cancel an appointment. This allows someone else to book an appointment. If you're unable to give a 24 hours advance notice, you will be charged the full amount of your appointment. This amount must be paid prior to your next scheduled appointment. Same day cancellations (or no call/no shows) will also be charged the full amount for the missed appointment. If you arrive late, your session will end at it's original end time and charged for the full time you booked. Super easy online booking. Book your next massage in a matter of minutes. This is what you can expect when you come to my office for the first appointment. Good to read for those who've never had massage. When choosing a Massage Therapist, you need to make the right decision. Let me introduce myself. Here is what people are saying about Pain Relief Massage & Wellness. Over 100 five star reviews! "Shawn is amazing! He listens to where you’re having pain and knows exactly how to alleviate it. I feel like a new person after every time I walk out of there." You may be thinking "How can a massage help me? Isn't it a luxury to have one?" Not so! Massage is very beneficial, and specific massage can provide relief from years of pain. Massage is very beneficial for restoring normal range of movement and decreasing pain symptoms. However if you don't practice self-care, chronic conditions do come back. This section has videos & articles for your own self care. Stress not only affects our mental health, but our physical health as well. So what can you do about this? This is where finding a health coach can help reverse the impact that stress is doing to your body. What can a Health Coach do for you? Ok, I’ll have to apologize to those who didn’t know, but I’ve been accepting Health Savings Accounts (HSA) and Flex Spending Accounts (FSA) for a while now. I know these accounts have become more popular due to higher deductible plans and many companies contribute to these accounts. For the moment, these accounts are the next best thing to accepting insurance in my practice. The pounding pressure seems to emanate from your own heartbeat and into your eye sockets and teeth, too. Sinus pressure is more than irritating; it is painful. We respect your privacy. Your information will never be shared & you can unsubscribe easily at any time. Join The Last Minute Massage Club! Would you like to receive text alerts of last minute massage openings, massage specials, and office updates? Enter your name & number below to get started! Home - How Can Massage Help?